Welcome to Day #14 of Chocolate, Holiday Spices and Maple Theme Week. 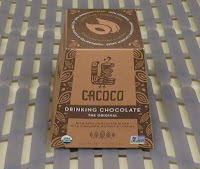 Today's attractively-packaged Original Flavor Drinking Chocolate with Cinnamon, Nutmeg and Lucuma from Cacoco, Inc. (Santa Cruz, CA) was hand-crafted, organic and Non-GMO Project Verified. The dry mix had a slightly bitter herb and aroma; however, once stirred with water and simmered for several minutes (until all the larger particles had dissolved), the flavors mellowed and improved significantly. 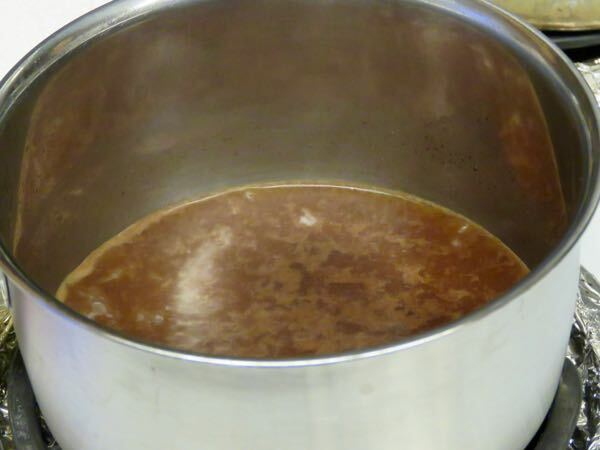 Do follow directions and heat, whisk and/or blend as indicated for best results. This is one product where preparation really mattered. 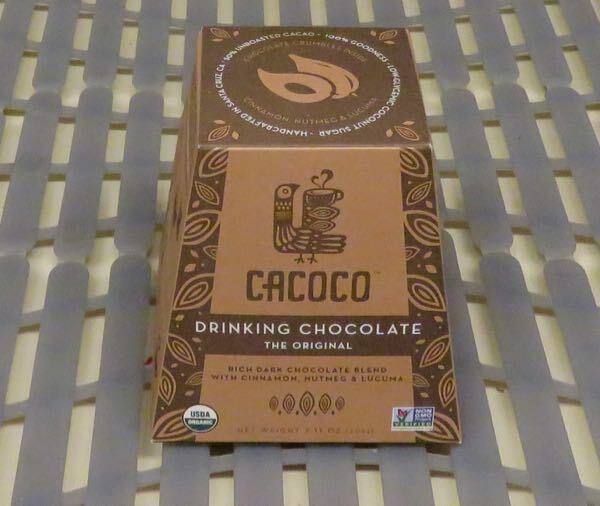 Adding a bit of organic milk of your choice may make the resulting hot beverage a bit smoother in flavor and texture; but the mix was really designed to evoke a long lost, "authentic" drinking chocolate tradition from many centuries ago that the Native peoples of Central America might have experienced—without proximity to dairy cows. The first ingredient listed was cacao butter, then coconut crystal sugar,* making it lower on the glycemic index. Lucuma added some natural sweetness as well. I added a bit of maple syrup, although that was not necessary. *Ingredients: "Cacao Butter, Coconut Crystal Sugar, Unroasted Cacao, Carob, Lucuma, Himalayan Salt, Vanilla Bean, Cinnamon, Nutmeg, Cayenne"